Bob Clark’s 1972 film Deathdream opens with American soldier Andy Brooks (played by Richard Backus) on patrol in Vietnam. When he’s suddenly shot by an unseen sniper, he hears his mother’s voice calling out to him, telling him that he promised to come home. With the voice filling his head, Andy closes his eyes. Sometime later, back in America, Andy’s family has been informed that Andy was killed in action. His father (John Marley, who you might recognize as the man who played Jack Woltz in The Godfather) and his younger sister (Anya Ormsby) have managed to accept the fact that Andy is dead but his mother (Lynn Carlin) remains in denial. Oddly enough, his mother is apparently proven to be correct in her doubts when Andy suddenly shows up at the front door. The family (and, eventually, the entire community) welcomes Andy home but it quickly becomes apparent that Andy has returned as a far different person than when he left. Now pasty and emotionless, Andy spends most of his day sitting around listlessly. It’s only at night that Andy seems to have any energy and he spends those hours wandering around town and hanging out in the local cemetery. 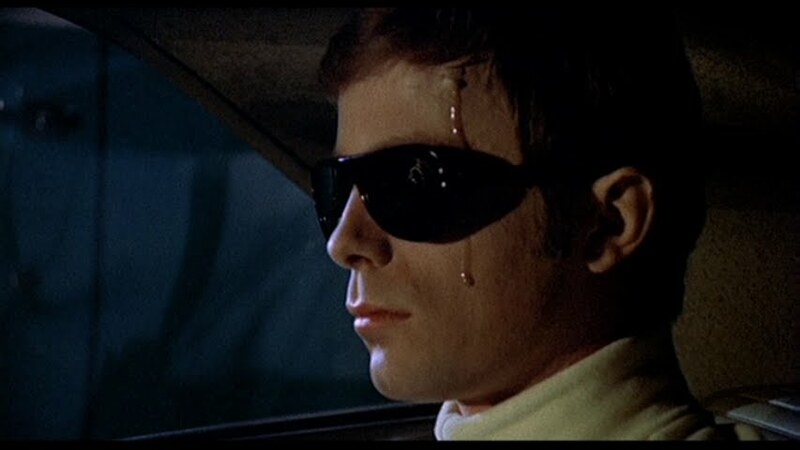 Deathdream is one of those wonderful but obscure horror films that, thanks to being released on DVD and blu-ray, has recently started to get the attention that it deserves. Deathdream was an early credit for the legendary effects artist Tom Savini and, while the film itself is not especially gory, Savini’s work can definitely be seen in the scenes where Backus’s body slowly decays. Director Bob Clark (who later went on to direct the far different A Christmas Story) perfectly creates and maintains a deceptively low-key atmosphere of perpetual unease while the cast elevates the entire film. Backus makes for an all-too plausible ghoul and Marley is great as a man struggling to understand what his son has become. 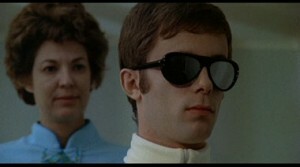 The film is totally stolen, however, by Lynn Carlin who is both poignant and frightening as Andy’s devoted mother. If you haven’t discovered Deathdream yet, this Halloween is the perfect season to do so.